John Fallon is better known as the dude responsible for the Arrow in the Head website which, with its focus on horror movies including daily news updates, reviews, and commentary, was a direct and significant inspiration in my decision to write about genre cinema. This fact alone galvanised my interest in The Shelter while at the same time making me a tiny bit nervous about watching it. At the end of the day I needn't have been worried. It's a fine debut and more than a bit surprising in terms of the particular corner of horror it occupies. Although it fits comfortably within the boundaries of the genre it is as much a drama, which examines one man's battle with the sins of the past, as it is a fright flick. Which is not a bad thing as it turns out. It's a strong debut, full of atmosphere and featuring a career best performance by Michael Pare, with a lot to offer horror freaks and geeks. I'm grateful to John for letting me view the movie and also for agreeing to answer some questions. And without any further ado...here's the interview. AOTD: Tell us about your experience with 'The Shelter'. How many days did you shoot for? Did the script change at all during the shoot? Were there any unexpected challenges or did it all go smoothly? JF: The 15 day shoot was one of the smoothest I had ever experienced and trust me I was as surprised as anybody else about that. But I was well surrounded for the most part and although we had a small crew; we were a well oiled machine. Looking back; we had some struggles with continuity that took some time/energy to resolve and we wound up shooting an exterior scene on the coldest night Louisiana had in like 25 years; the crew was freezing hence I had to cut the night short and shoot the rest on another night. But the obstacle that left the biggest impression on me came the day before we started shooting. There were snow storms in North America at the time and Michael Pare’s flight got cancelled. So co-producer Donny Broussard and I were on the phones for hours trying to get Pare another flight and get him down in Louisiana on time for the first day of shooting being that I couldn’t financially afford to push the shoot back. It was a fiasco. In a way that potent sucker punch just before shooting was a good thing, because once FINALLY resolved, all of the stress that I could’ve felt in terms of the start of production had been purged out of me. So I stepped on set come the first day feeling very relaxed; which was a good thing. Story wise; although our varied environments resulted in new minor story elements and that I had to consolidate some scenes here and there in the name of time/money – the script didn’t change much from page to screen. AOTD: I understand that you and Michael Pare have been friends for a number of years. When you were writing the script for 'The Shelter' was it with him in mind as the central character and what were the qualities you saw in him as an actor that made you cast him in the role? JF: Mike and I met through our mutual friend Eric Red and spent time together in Budapest during the shooting for Red’s 100 Feet. When I wrote the script, the character of Thomas looked like Mike in my mind but to be honest I didn’t think we’d get him. He’s a busy guy. 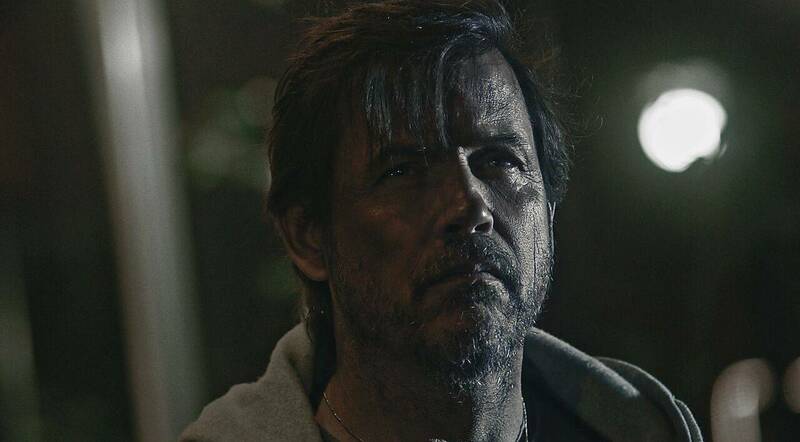 So, I was looking for somebody like Michael Pare, until co producer Donny Broussard convinced me to just send Mike the script and see what happens. Mike loved it, wanted in, we made an agreement and that was that on that. The role of Thomas required an actor that had raw magnetism, somebody the audience wanted to watch being that A- The role was fairly un-sympathetic on paper and B- Thomas was pretty much in every frame of the film. And Michael Pare had all that we needed for the role and then some. AOTD: What lessons did you learn as a film-maker during the writing, filming and post-production of 'The Shelter' that you feel you will benefit from when it comes time to direct your next feature? JF: Ha! I could write a novel in terms of what I learned and am still learning throughout every stage of making this film. Hence, I’ll just say that although I didn’t expect my work on The Shelter to end with Post Production; nothing could have prepared me for the battle that lay ahead. Every step forward has and still demands much effort and most of them also cost money. Let me put it this way; The Shelter has been my full time job since January 2014 and I’m still waiting for my first paycheck. And I won’t even get into the emotional roller coaster ride this endeavor has been for me thus far. I’m definitely stronger and wiser for it. With that said; if I had to do it all over again...I would in a split second. AOTD: 'The Shelter' is more of a drama than the kind of full on horror movie experience people may have anticipated given your background. Was this as much of a surprise to you as it may be to the movie's audience or did you set out to subvert expectations? JF: I had no strategy when I decided to make The Shelter; I didn’t want or even think of subverting anything and I wasn’t trying to appeal or not appeal to anybody. It was a very pure project. The easiest way I can explain it is: for better and for worse it’s the movie that wanted to get made. AOTD: You have had acting roles in quite a few movies over the course of the last 15 years. Which performances are you most proud of and did you take the opportunity to pick up skills that would serve you well when it came time to step behind the camera yourself? JF: I’m very proud of my performance in Dead Shadows and I had a lot of fun doing American Muscle. I’ve picked up knowledge on every set that I have been on and I doubt that will ever change. There’s always something new to learn! I feel that having an acting background and understanding actors and their process did help me when directing The Shelter and will be a valuable asset moving forward. AOTD: The indie horror scene has been spitting out a lot of great movies for the last several years. What movies have particularly impressed you and why? JF: Adam Wingard’s THE GUEST with Dan Stevens floored me. It sported a stellar cast, an intriguing mystery; stand out 80's like music/score, bleak humor and potent moments of extreme violence! I loved every second of that film! AOTD: I too loved THE GUEST. Dan Stevens was inspired casting and the soundtrack was one of the best of 2014. What do you think of the current state of mainstream horror? JF: For every five Paranormal Activity-like flick I have to endure, there’s one Sinister I can relish. I have mixed feelings about current Studio horror and find more fulfillments within the Indie scene. AOTD: I've yet to see SINISTER. I really need to fix that. Are there any established directors whose work you particularly respect and who have had an influence on your approach to film-making? JF: Mel Gibson, David Lynch, Clint Eastwood, Stanley Kubrick and Roman Polanski would all be influences of mine. I REALLY want to work with or for Mel Gibson in the near future. I actually sent him a copy of The Shelter. You don’t get if you don’t try! AOTD: Some very fine choices there. Moving forward do you intend to juggle directing with acting and what does your immediate future hold in regard to both? JF: If a solid acting role falls in my lap, I’ll take it, but right now I am not pursing that, my energy is focused on directing. I am already in the process of setting up my next film. Something with a bigger budget and that is much more mainstream. We’re moving in the right direction but I will keep details to myself until the money is locked. 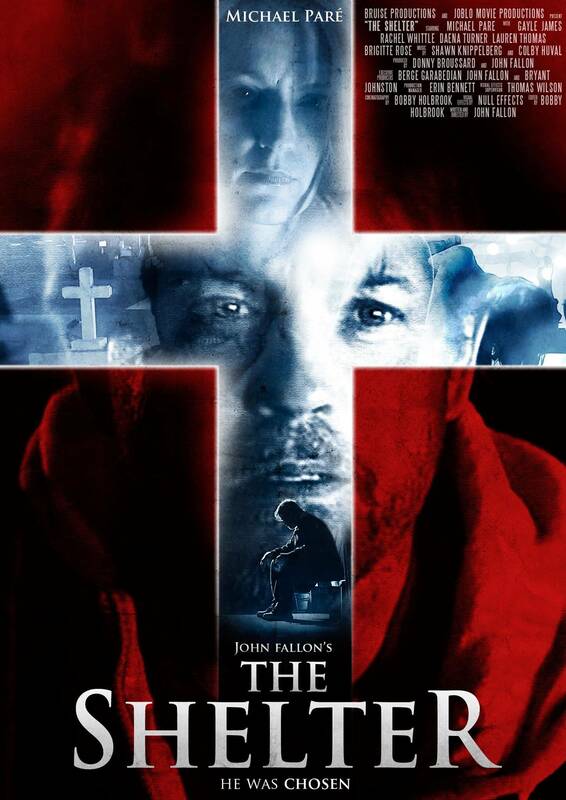 AOTD: 'The Shelter' is screening at Frightfest in London next month. Do you have a message for the audience? AOTD: Thanks again for the interview. I hope you enjoy the Frightfest experience. It's a fantastic event. All content, except where noted, is by and copyright of Afraid of the Dark and the credited author. Awesome Inc. theme. Powered by Blogger.